The new and updated tools were introduced at the 2016 Cannes Lions Festival of Creativity. CANNES, FRANCE: Facebook has developed four new ways for advertisers and marketers to reach its more than 1.5 billion mobile users, the company said on Tuesday at the 2016 Cannes Lions Festival of Creativity. During a Facebook press conference, Cannes festival-goers were primed for a new interface called Creative Hub that will allow creative and marketing agencies to learn about and build content on mobile. Creative Hub is currently in testing, but is expected to launch within the next few months, according to a release. 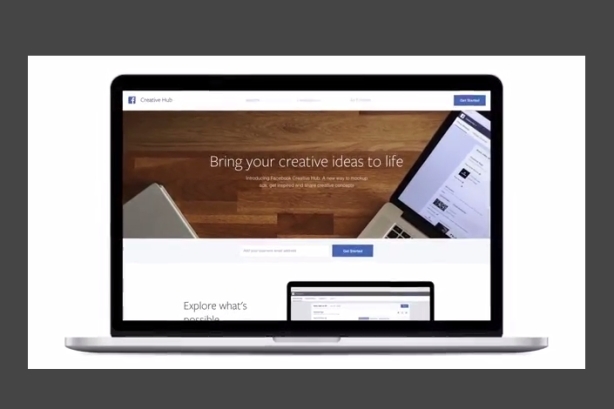 As a space where advertisers can collaborate with stakeholders, Creative Hub will enable both parties to "experiment, preview, evaluate, and showcase ad creative;" browse different formats available on Facebook and Instagram; preview mocks on mobile; preview URLs and share them with stakeholders in a "dynamic mobile feed;" and access a cache of case studies and content. Facebook also introduced an Audience Insights API, which will be available next year. The social media platform is working with a small group of advertisers, including Mondelez and Anheuser-Busch InBev, to figure out how to glean insights from data and reports generated by Facebook IQ. Further, the company’s Canvas product, which allows users to create a mobile ad that opens into an interactive, full-screen page, is now shareable. In the future, Canvas will have a new feed unit and more detailed metrics, Facebook explained in a release. Several features for slideshow ads were also rolled out during the press conference, with a heavy focus on mobile. The press release noted that slideshows use five times less data than video on average. One of the features announced includes the ability to create slideshow ads from mobile devices. Meanwhile, Instagram announced on Tuesday morning that it now has more than 500 million active users -- a watermark reached by only four other virtual communities, including its developer, Facebook. Instagram published a blog post across all of its social media channels commending the diversity of the platform’s users and encouraging them to continue sharing their stories. Later, Instagram posted a video celebrating the milestone. Instagram’s cofounder and CEO Kevin Systrom also discussed the company’s growth with various media outlets such as the BBC and Bloomberg on Tuesday. Facebook CEO Mark Zuckerberg celebrated the subsidiary’s milestone with posts on both platforms.